Another fierce storm here two nights ago sorted out the durable magnolias from the fly by nighters. Poor old Mark Jury has gone for the year. He only looked sensational for a week. But his progeny are faring better. It is pretty remarkable how much petal drop we can get from Iolanthe and still have a tree full of flowers. The winds blew the petals over 40 metres away. These are short, sharp incidents of storms which last a few hours only but the strong winds and torrential rain certainly causes damage to magnolia blooms. Viewed from a distance, Felix Jury looks great but seen close up, there is quite a bit of damage and bruising and it is the same story on Iolanthe, Milky Way, Lotus and Athene. Cultivars which flower down the stems (as opposed to the short lived stars which set flower buds only on the tips so there is one mass flowering and then it is over) extend the season and there is a second chance to open undamaged blooms. Our white stellata is bravely flowering on through all conditions. Suishoren can blow apart rather easily whereas Manchu Fan takes pretty well all the bad weather in its stride. Burgundy Star is the last of our reds to open and the original plant in our carpark is nowhere near to peaking yet. It is a very dark red and on the tree appears to have lost much of the magenta tone which can dominate the other reds. Mark is still hoping that he will get a good plant which is pure red (and we have some hopeful candidates on the track) but in the meantime Burgundy Star makes a very deep red pillar. It being three quarter liliiflora nigra, we are hopeful it may have more hardiness than some of our other selections. Serene is the last flagship magnolia to flower here and is just opening the first flowers. None of the American yellows are open yet, but these mostly flower too late for us and are breaking into leaf at the same time. The doltsopa hybrid Snow Flurry series of michelias flower on and are wonderfully rewarding. The season on the michelias lasts considerably longer and we have many to follow. Alas we have to be very circumspect about what we show of new breeding lest it cut across the chance to patent later so this diary will not be showing the flowerings which make us most excited here. 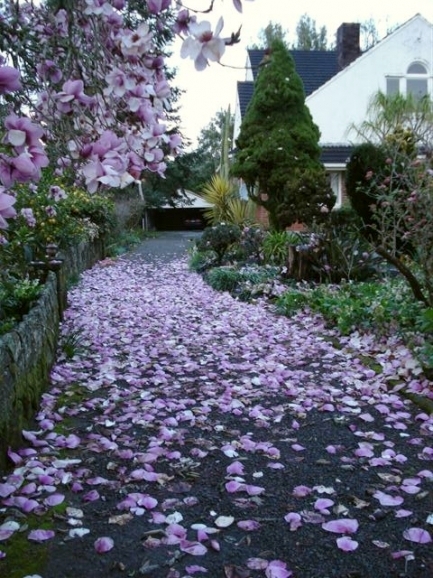 This entry was posted in Magnolia diary and tagged Burgundy Star, doltsopa, Jury magnolias, Magnolia Serene, Michelias, New Zealand magnolias, red magnolias on 1 September 2009 by Abbie Jury.